The following self-published patterns are available for purchase from Dot Collins. Please contact her at dotcollins@gt.rr.com to order or for additional information on the patterns. Quantity discounts are available for groups or shops. Click (Ctrl+click) on the individual patterns listed below for more detailed information on the quilt design and a picture of the finished quilt. Mother Earth is a row quilt that provides instructions for the blocks that make up each row or partial row. 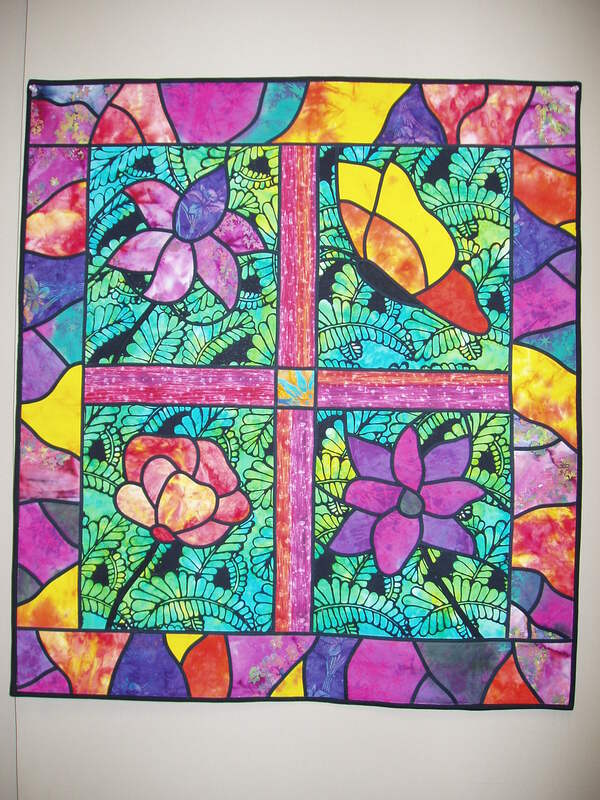 A variety of techniques are used in the quilt and it provides a wonderful canvas for your own embellishments and modifications. This quilt was published on the cover of Quilters Newsletter Magazine (October 1995) and the Lang Quilt Calendar (November 1996). Spinning Stars quilts are paper pieced – two different size wall quilts are available options for this paper pieced class which utilizes 60-degree triangles arranged with star strips and/or background strips to create the appearance of spinning stars. 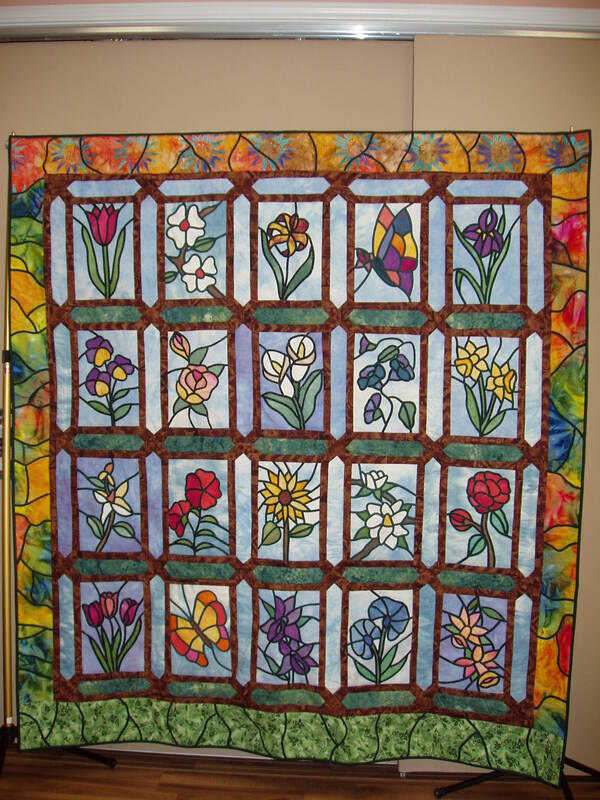 Not yet listed on separate page - Floral Stained Glass pattern Twenty block Stained glass patterns with instructions that include patterns for all blocks and a "faux glass border" shown on large quilt below or a "broken glass border" shown on small quilt pictured. Price is $$18.48 each + $1.52 tax if sold in Texas + $4 postage and mailing (if applicable) for all patterns and instructions. Contact Dot Collins at dotcollins@gt.rr.com to order.